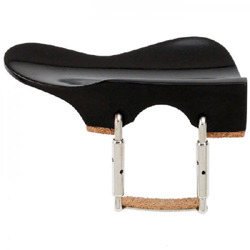 Made of black ebony, this chinrest fits 3/4 and 4/4 sized violins and is one of our most popular models for serious players. As used by Susan Waterbury. Basics is the first complete guide to violin technique intended specifically for the music stand rather than the bookshelf. 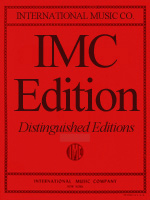 This unique publication covers all the fundamental aspects of playing the instrument. The 300 exercises and practice routines are grouped into seven highly detailed sections: right arm and hand, tone production, key strokes, left hand, shifting, intonation, vibrato. By focusing on a single element at a time, each exercise is designed to achieve an immediately tangible and sustainable result in the shortest possible time. Basics is not a book to play through from cover to cover after all, everybody's needs are different. The logical and uncluttered format enables the player to work directly on any specific technical matter that requires attention. CF Peters edition. 231 pages. Paperbound.